When you think of going on a cruise, what’s the first thing that comes to mind? Perceptions and clichés run rampant, poking fun at everyone from the sedentary set to the party crowd. But times have changed, and these days cruisers need to pack more than just their appetites and bathing suits. If they’re sailing aboard Royal Caribbean’s Anthem of the Seas, they’d better have socks and running shoes. 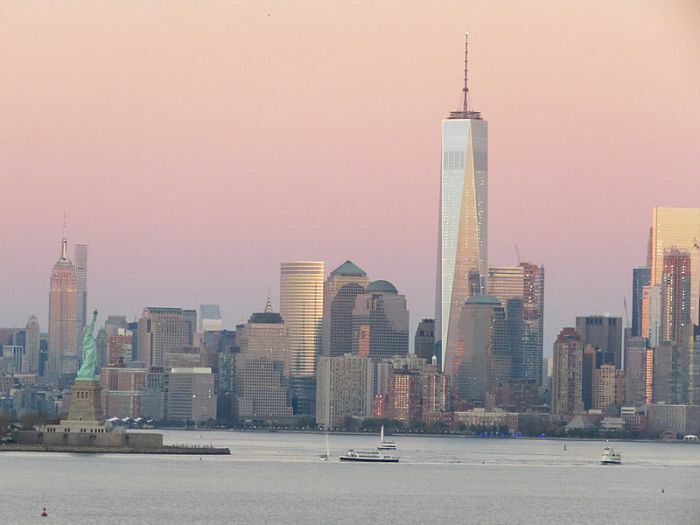 Anthem of the Seas just officially dropped anchor in the Big Apple. She debuted in April 2015, but just arrived stateside and is ready to make a splash in her permanent year-round home of New York. Well, technically New Jersey. Sailing from Cape Liberty, New Jersey, Anthem of the Seas will sail to the Southern, Eastern and Western Caribbean, as well as the Bahamas. Itineraries vary from seven- to twelve-night sailings. The warm, sunny destinations sell themselves, especially to a population that, in winter, can desperately seek sunshine and blue skies. But much of the excitement about Anthem’s arrival has more to do with the actual ship than the courses she’ll chart. A floating city, she spans 18 decks and has 2,090 staterooms. But none of that is important to most modern day cruisers. There was a time, not too long ago, when cruising meant giving up some precious amenities. Not any more. There isn’t much you can’t do at sea these days and Anthem is 167,800 gross registered tons of floating proof. 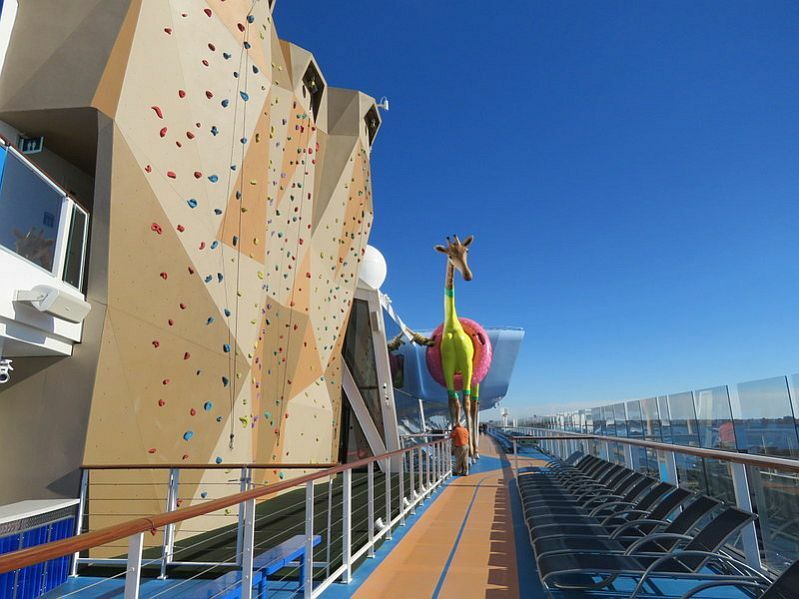 Anthem of the Seas was built to entertain, and she does it well. The SeaPlex is the largest indoor sports and entertainment complex at sea. It’s like a floating playground, but better. The full-size regulation basketball court is also used for soccer, volleyball and badminton. But it gets better. A trapeze drops from the ceiling for those with dreams of running away and joining the circus. When your arms get tired, you can lace up a pair of roller skates (bring your socks) and give the court a whirl. 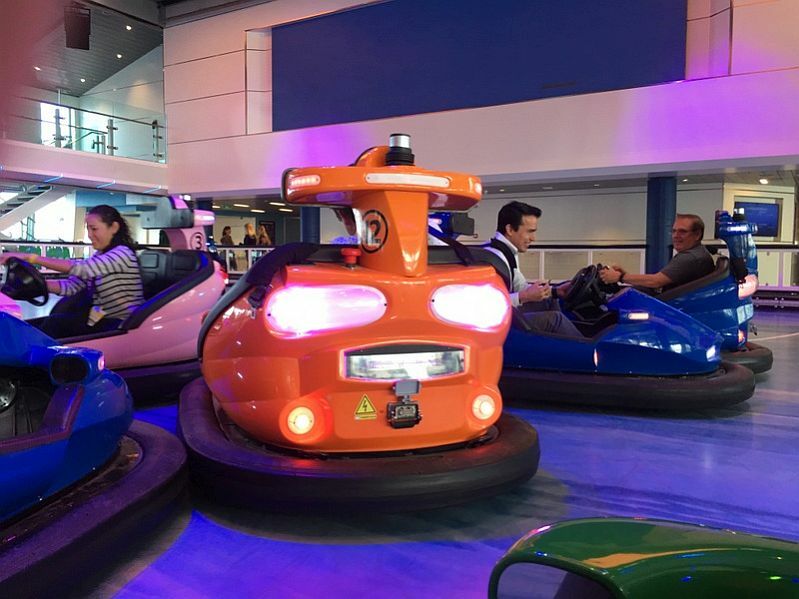 Or maybe you take a break and wait for the bumper cars session to begin. A floating DJ pod hovers above, playing music designed to keep you moving. For a smoother flight requiring no wardrobe change, I recommend Anthem’s NorthStar. Picture a seagoing, modern twist on a Ferris wheel, but without the wheel. A glass observation room attached to a boom of sorts slowly climbs 300 feet above sea level, giving you a panoramic view of, well, everything. That’s the easy way to fly. Oh, remember that bathing suit. You’ll need it for the FlowRider surf simulator. Wiping out is half the fun. Hungry? There are 18 restaurants on-board to satisfy just about any craving or budget. A handful are complimentary, while others require an additional fee. Thirsty? 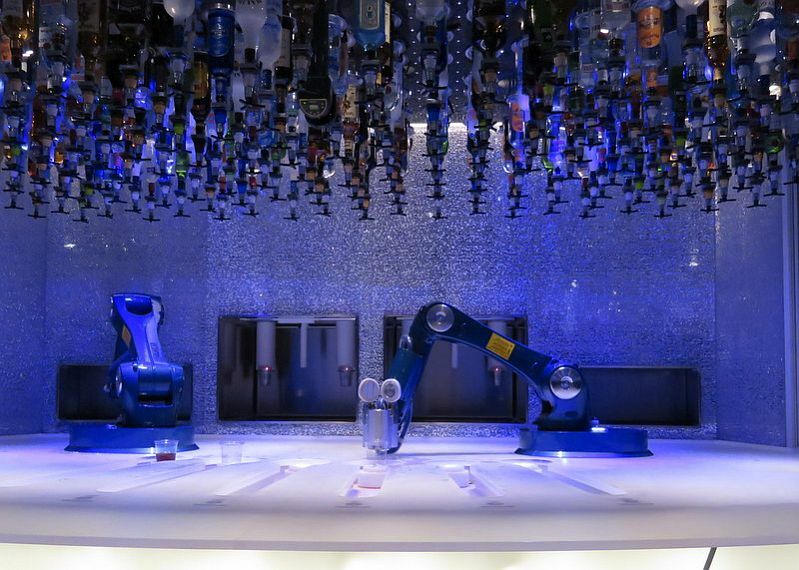 Robot bartenders in the Bionic Bar shake and stir like the best of them and tipping is not required. 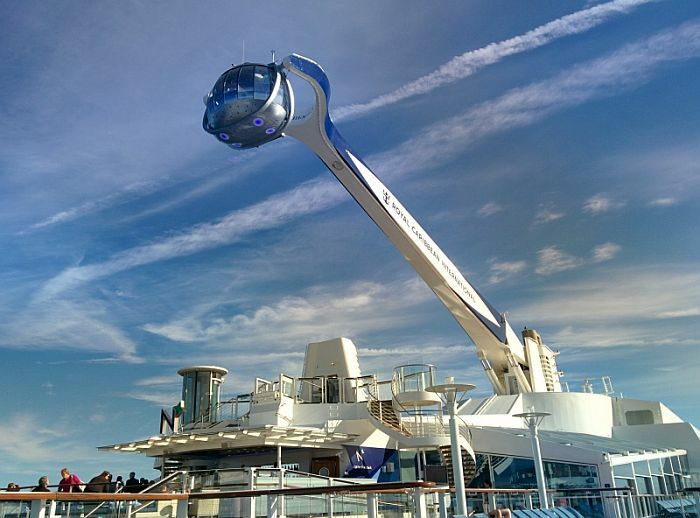 Anthem of the Seas has just about every type of traveler covered. The adventure set can go from sunrise to sunset. Parents can actually relax. Kids have no excuse to be bored and foodies can eat up. I only see one possible glitch: the Bahamas, Jamaica, Honduras, Puerto Rico, St. Kitts, Martinique and St. Maarten are just some of the ports where Anthem will dock. Folks might not be in such a rush to get off anymore. 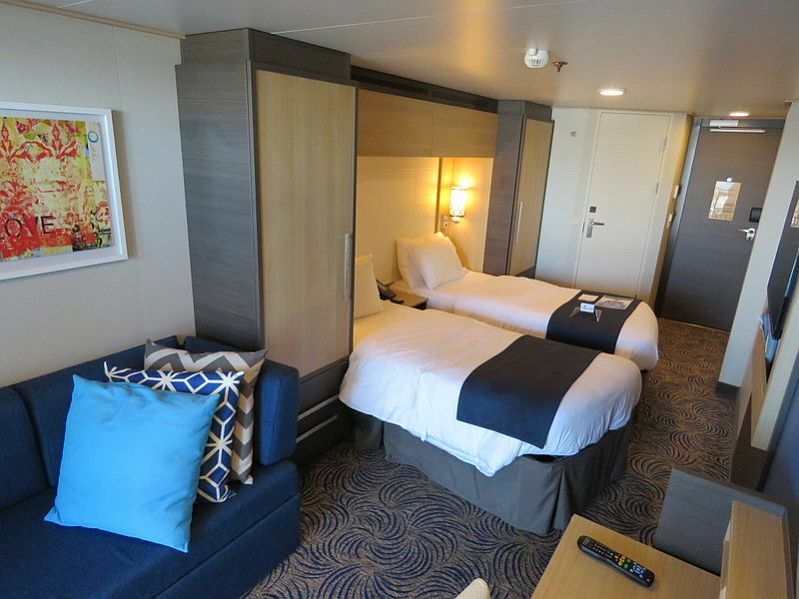 Dana was hosted by Royal Caribbean aboard Anthem of the Seas for a two day media sailing from Cape Liberty, New Jersey, but as always her thoughts and opinions are her own.